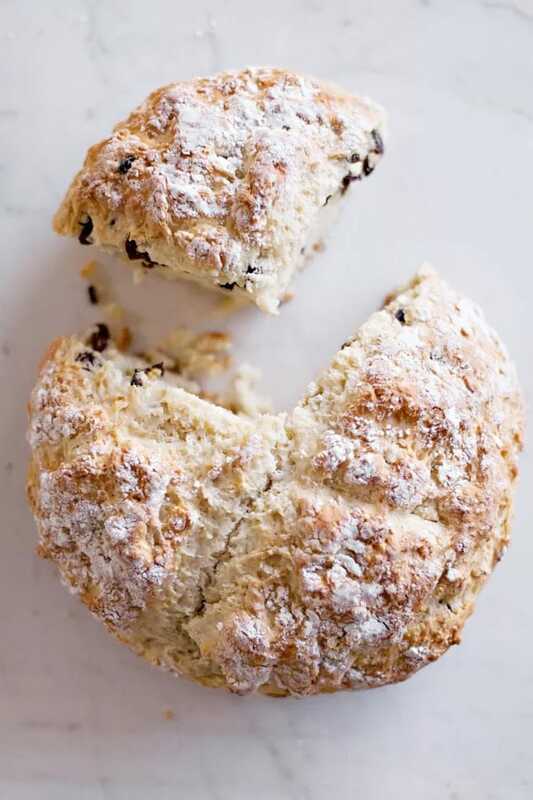 Big, fluffy Irish Soda Bread is a no-knead and no rise bread recipe. Easy to make and perfect for St. Patrick’s Day or any day of the week! Bread is pretty much a staple at any meal at our house. 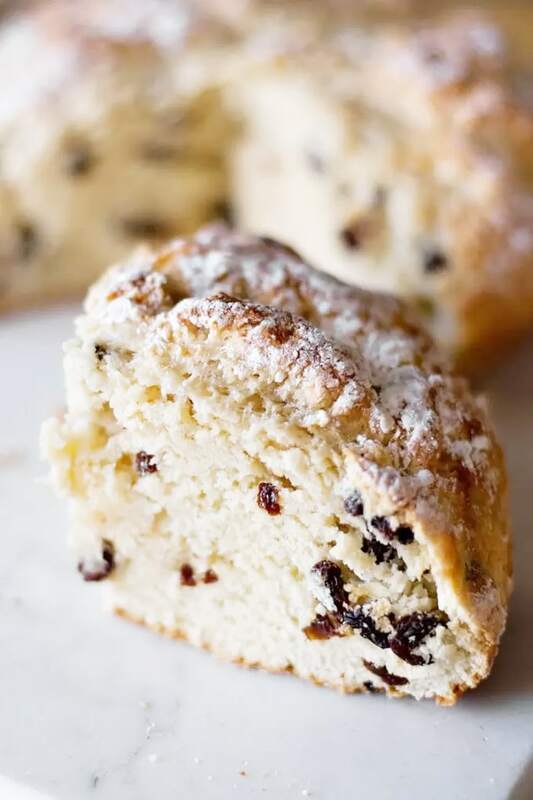 From the basics like Beer Bread and Cheesy Garlic Bread to simple homemade bread recipes like this Irish Soda Bread, there is always fresh bread to be had. I’m not Irish. 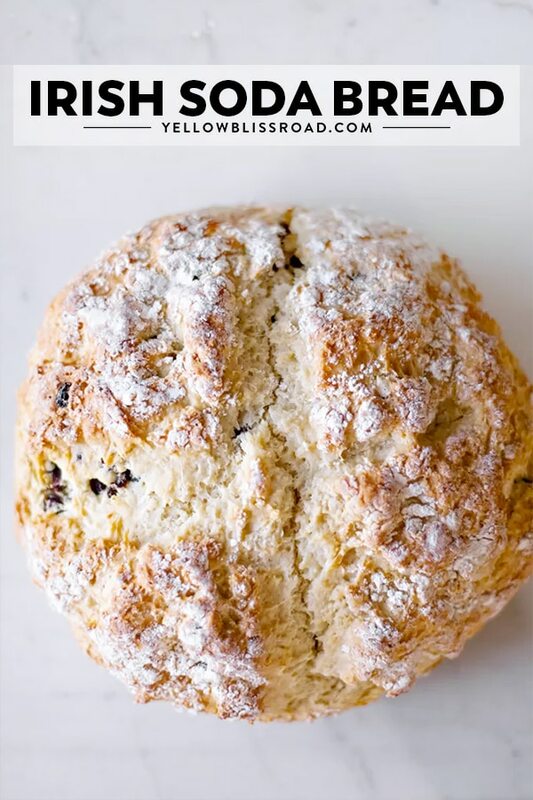 Perhaps that’s why I never heard of Irish Soda Bread until last year. I started seeing it on Pinterest, and I was intrigued because I liked its rustic look and the fact that you didn’t have to knead it or wait for it to rise. When I made some and was shocked at how high it got, even though there was no yeast and only one teaspoon of baking powder and one teaspoon of baking soda! Just look at this huge piece of bread! 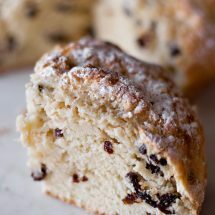 Irish Soda Bread is a traditional bread from Ireland, from a time when much of the country was poor. Only the most basic of ingredients were available so they would add or soured milk and baking soda to flour. The acidic milk would react with the baking soda, much like yeast, causing it to bubble and oxidize, therefore causing the bread to rise. In the recipe below you’ll see it varies a bit from the original, traditional 4 ingredient recipe. We add sour cream and an egg for moisture, and a little sugar for sweetness. 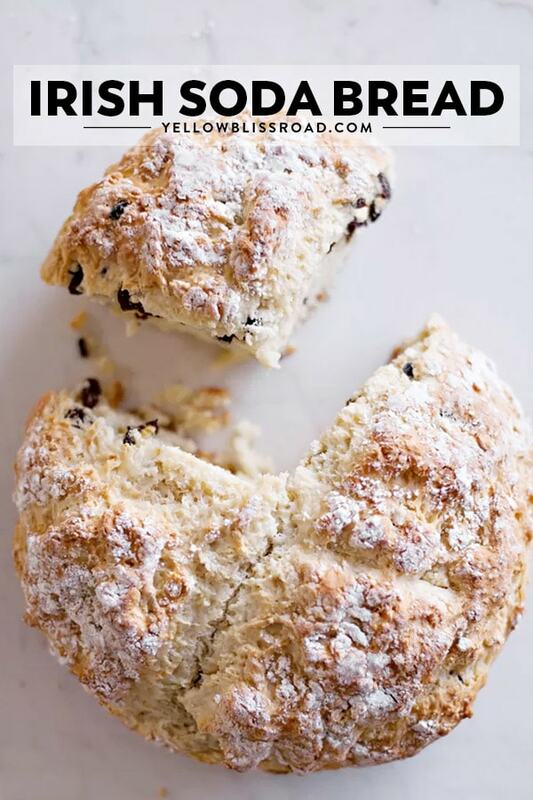 HOW DO YOU EAT IRISH SODA BREAD? I am so surprised at how easy and quick this recipe is to whip up. It needs to bake for 50 minutes, so you can make it first, pop it in the oven, then get to work on the rest of dinner. You’ll have hot, delicious bread that pairs wonderfully with any Irish dish (like beef stew or corned beef and cabbage). It’s also great for breakfast. Irish Soda Bread is best when fresh, so you’ll want to eat this bread within two days. Give it a try today; you’ll be pleasantly surprised at how easy and tasty it is. For more quick bread recipes, try these! Try our favorite St. Patrick’s Day recipes, too! 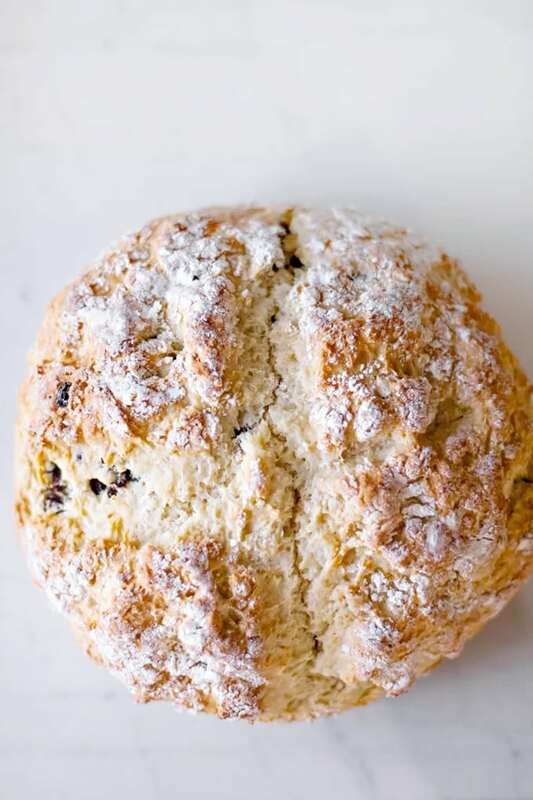 Big, fluffy Irish Soda Bread is no-knead and no rise! Easy to make and perfect for Saint Patrick's Day or any day of the week! Spray a 9-inch cast iron pan or cake pan with baking spray. Set aside. Add flour, sugar, salt, baking powder, and baking soda to a large bowl. Gently stir until everything is mixed.